When will be The Choir: Gareth's Best in Britain next episode air date? Is The Choir: Gareth's Best in Britain renewed or cancelled? Where to countdown The Choir: Gareth's Best in Britain air dates? Is The Choir: Gareth's Best in Britain worth watching? Gareth Malone embarks on a fresh search for undiscovered singing talent, scouring the UK for the country's most entertaining amateur choir. This week, Gareth is on home turf as he scours the south west of England for a third regional champion to put through to his nationwide contest. Pit stops include hay barns, harbours and a high tea, on an audition tour that features a Bristol sea shanty band, a cake-loving WI group, a Guernsey church choir and some tuneful young farmers from Devon. To top it all, Gareth umpires a Pitch Perfect-style song battle between Exeter University's two top a cappella acts. But who from among these hopefuls will Gareth select for the sing-off? 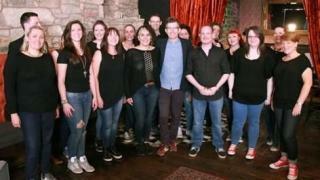 Success at this sing-off will secure a place in the national stages of the competition, but also comes with a challenge - ahead of the national contest, the winning choir must work with Gareth to pull off a performance in their home town. Gareth Malone aims to find Britain's most entertaining amateur choir. In the last leg of his tour of the UK, Gareth scours the south east, looking for a fourth choir to fill the last semi-final place. Contestants include members of a Battersea beatbox academy, a choir comprised of NHS staff and a gifted group of Reading sixth formers put together by their maths teacher. Gareth Malone aims to find Britain's most entertaining amateur choir. It is the semi-final of Gareth Malone's contest to find Britain's most entertaining, undiscovered amateur choir. The four groups Gareth has handpicked from across the country are being brought together for the first time at bootcamp, before they go head to head to stay in the contest. They face intensive mentoring as part of a challenge designed to target and overcome their musical weaknesses. Two choirs grapple with picking the perfect soloist, while another must tackle their lack of self-belief. It is a race against the clock to perfect their semi-final performances before the groups sing live in front of an invited audience and a jury of musical experts. The jury's votes decide which groups will go through to the grand final and which choir will leave the contest for good. The grand final of Gareth Malone's contest to find Britain's most entertaining, undiscovered amateur choir. From the hundreds who applied, and the many groups Gareth auditioned across the country, just three are left standing. All that now stands between them and the title of series champion is one last challenge - one that comes with a twist. While the loss of their leader poses a problem for one choir, another group decamps to the country to focus all their energies on victory. The choirs have just ten days to perfect their performances before they compete one final time, in front of a 2,000-strong crowd and a jury of musical experts, at London's prestigious Central Hall Westminster. To emerge triumphant, the choirs must impress the jury, whose votes decide who will be crowned Gareth's Best in Britain. 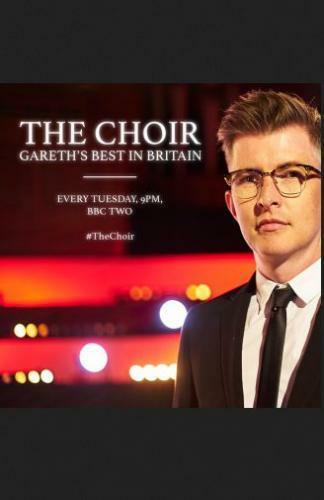 The Choir: Gareth's Best in Britain next episode air date provides TVMaze for you. EpisoDate.com is your TV show guide to Countdown The Choir: Gareth's Best in Britain Episode Air Dates and to stay in touch with The Choir: Gareth's Best in Britain next episode Air Date and your others favorite TV Shows. Add the shows you like to a "Watchlist" and let the site take it from there.